"Today, optical security features, such as holograms, are frequently based on two-dimensional microstructures," says Professor Martin Wegener, expert for 3D printing of microstructures at the Institute of Nanotechnology of KIT. "By using 3D-printed fluorescent microstructures, counterfeit protection can be increased." The new security features have a side length of about 100 μm and are barely visible with the eye or a conventional microscope. For their production and application, Wegener and his team have developed an innovative method that covers all processes from microstructure fabrication to the readout of information. "Security features produced in this way are not only of individual character, but also very complex in manufacture. This makes life difficult to forgers," says Frederik Mayer of the Institute of Nanotechnology of KIT. The new process can be extended easily and is extremely versatile. 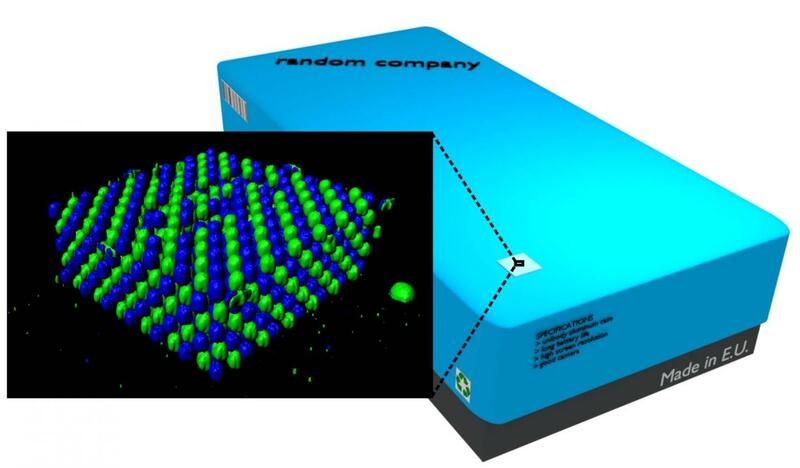 The 3D features may be applied as an embedded foil in security tags to protect pharmaceuticals, car spare parts, or mobile accumulators against counterfeiting. They may also be integrated into the transparent windows of bank notes. For later authentication checks at the supermarket checkout or in the production hall, special readout instruments are required to detect the fluorescent 3D structures.